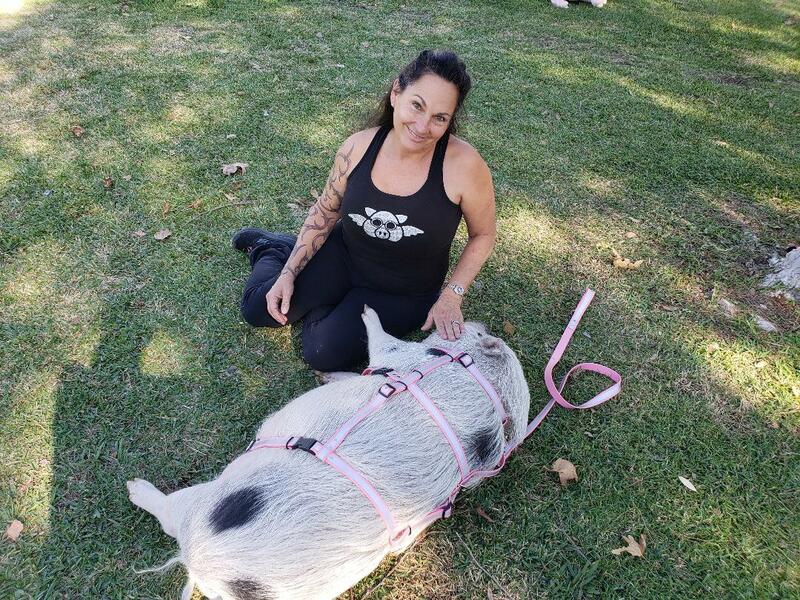 My name is Debra Jo Chiapuzio and I have a #BikerPig. Yep, that’s a real thing. As dangerous as it may seem to you the only place any harness worked well was in her sidecar. However, go for a walk and encounter a direction she does want to go and that was another thing altogether, and frankly more dangerous! She’d “back out” of her harness and I’d have a pig on the loss. How many times have you been in this situation? Pigs have a built-in reverse whenever they are frightened or fearful. Many of us know the old get behind and move the pig action. But now it’s time to just “be in control.” One day I put a large collar around my pig between her rear legs and her potbelly, and then attached it with another piece along her backbone and the vision was born. I tweaked my ideas until I had a vision and then I ran into my friend Abby from S.I.T. Gear and the light bulb went on. She was able to create exactly what I had envisioned! And now she can bring to you and your pig the safety I have for mine. 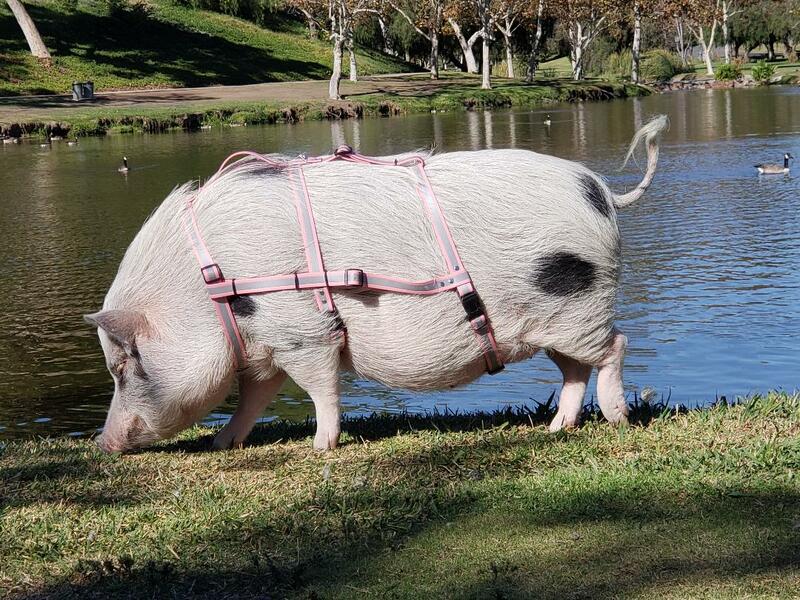 You can restrain your pig with a harness or become the Hog Hugger type!